The Profi Classic is the economical entry-level model in the Profi class. This tractor delivers with its effective engines, rated from 116 to 145 hp, its superlative cab comfort and its professional ease of operation. In addition, every model is equipped with electronic control modules, a highly developed fuel injection system and HI-eSCR technology. Comfort with a capital 'C': windscreen, rear window and rear-view mirrors with the option of heating, engine and transmission preheating, and a signal light bar. Robust front attachment area for safe and versatile attachment of front-mounted implements. Up to 16 LED worklights for perfect 360° illumination. ECOTECH for more power and less diesel consumption. PowerPlus for up to 34 hp more power. 3-stage PTO speeds with Power mode or the fuel-efficient speeds of the Eco mode. Maximum lifting power of up to 7,864 kg at the rear and 3,100 kg at the front. Four-wheel braking system for maximum safety. STEYR front loader attachment frame is available ex-factory. Combinations of tyres and wheels to suit every type of application. The intercooled turbo diesel engines satisfy the guidelines of the EU Level IV exhaust emissions standard and delivery superlatively economical power for every conceivable practical application. The 4-stage powershift transmission on the Profi Classic, as its name indicates, is able to shift gears under load while on the move, without the need to operate a clutch. The direction of travel can be changed using the Powershuttle lever on the steering wheel. The Profi Classic really can deliver in terms of convenience: wide-opening doors, an ergonomic operating environment, a pleasant airconditioning unit, and a standard high-visibility window make the Profi Classic unique in its class. The Profi Classic also convinces at night: the control panel is well illuminated, headlights and adjustable lamps light up the ground ahead and the entire working area. Optional additional lights make it possible to drive on roads even with front-mounted implements. 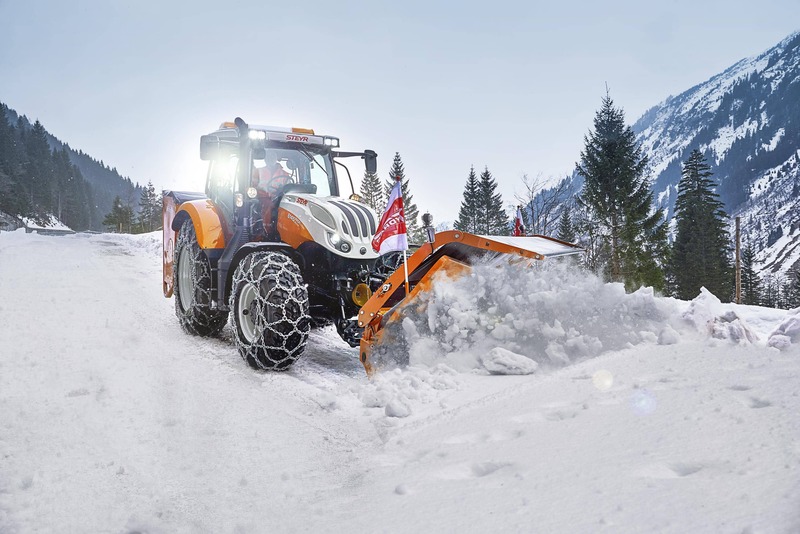 The hitch and the auxiliary control units on our STEYR Profi models are powered by an OCLS hydraulic system (open oil circuit) or by a CCLS hydraulic system (closed oil circuit) at a displacement rate of 80 to 125 l/min. This system assures full performance at the right time and at the right place. 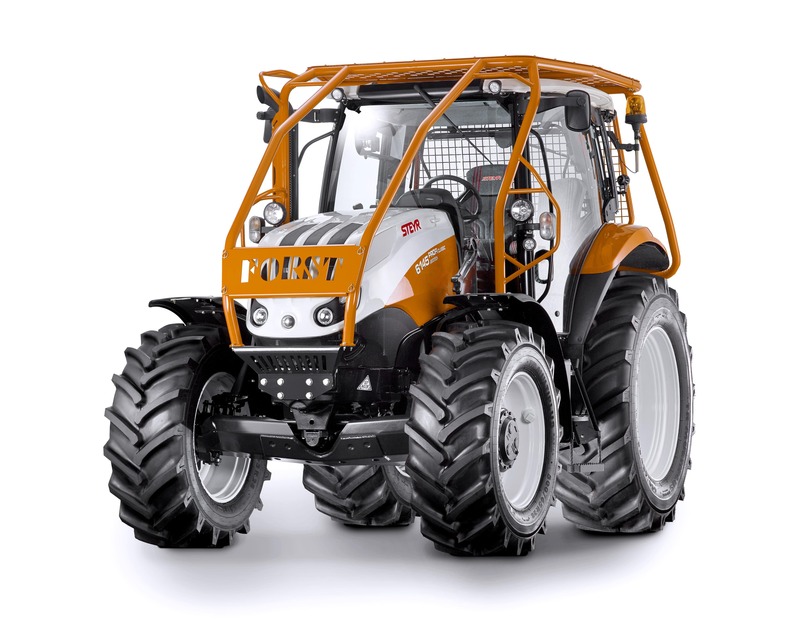 The S-ControlTM 4, 4-speed power shift transmission with Powershuttle and 16 x 16 gears in three gear groups (crawl gear optional) is standard on the Profi Classic. Our municipal frame with EURO III system adapter now features an improved design principle and is tremendously stable. Attachments with big boom widths and high torsion moments can be operated without any problem and in great safety. The standard interface keeps set-up times to a minimum for a vast array of municipal implement attachments. The EURO III system adapter plate is easy and convenient to fit to a front-mounted hydraulic system. This also enables front-mounted implements to be operated with a 3-point attachment. 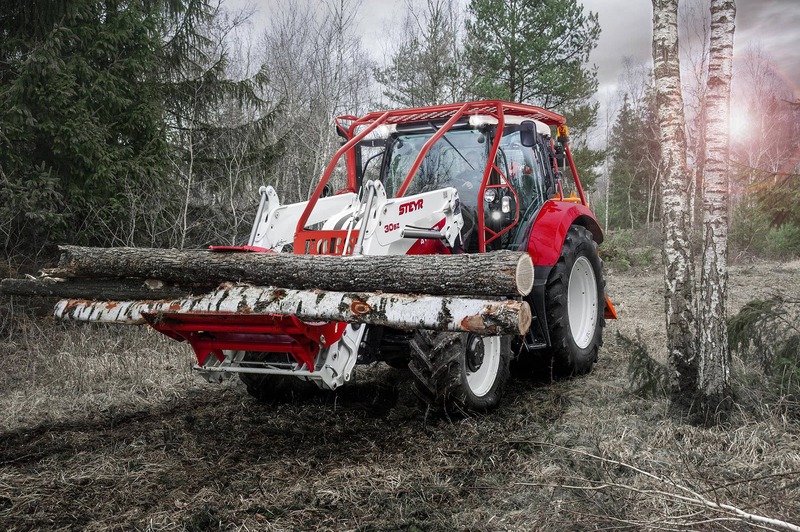 For the specialist requirements of forestry work, STEYR offers a range of made-to-measure auxiliary equipment items. These range from a specialist forestry frame with branch deflector and protective guards for axles, engine and transmission, to worklights and additional headlights to provide optimum illumination. 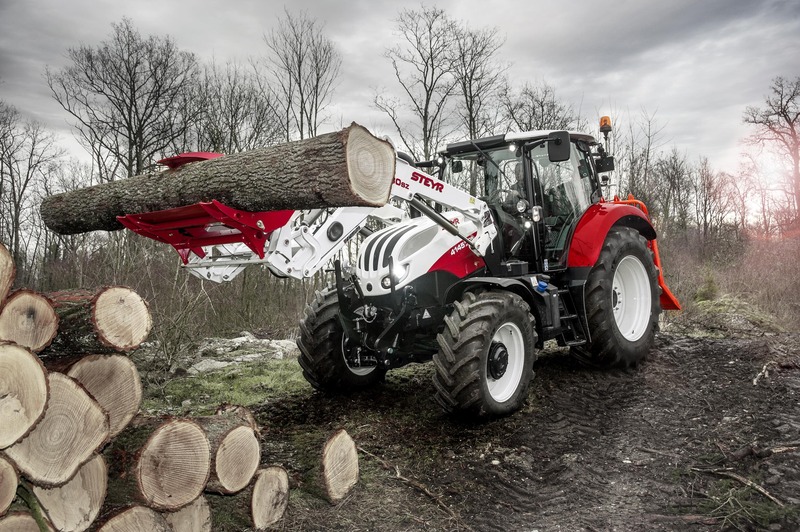 To improve manoeuvrability, STEYR forestry tractors can be equipped with front loaders and shorter swinging link, and special tyres with reinforced forestry rims and valve protection.